Look at yourself today. Whatever it is you have achieved for yourself – be it career, confidence or family, all came step by step. Achievement means different things for different people. With age, I find that people define it differently. Looking back at my own journey, there is one common denominator that pushed things forward: accepting change. Yes, change. It is a commonly used word in quotes, yet when it finally looks at us in the eye, we sometimes chicken out. Change often means re-learning something, becoming humble once again before we can be on our way to greatness. I used a PC when I started my career 12 years ago. When I switched over to my very first MacBook back in 2006, I was humbled (and oftentimes I was upset). Why? Because everything that I knew and felt I was good at seemed to have gone down the drain. I felt like a novice computer user who needed help every now and then. Perseverance pays and after using it for a month, I have picked up both skills – PC and MAC. Other personal experiences which forced me out of my comfort zone: marrying a French (I am Chinese), moving to Malaysia (I was from Manila), driving on the “right” side of the road, working for a big software company at the Twin Towers (immersing with Malaysians) and quitting after 4 years, delivered soft-skills trainings to Air Asia, Digi and Hong Leong via a friend’s company, then ventured into media (BFM 89.9 and the Star newspaper). All this took courage because it was different from what I used to know. All this meant change. It meant taking a tough decision and choosing the less travelled path. All this brought me to TODAY. Accepting change into your life is a scary thing. People often choose the simpler road, which is to stay the same. Whenever you are at that point of decision making, I urge you to only think of this: WE LIVE ONCE. Life is short. Do you want to live your life only knowing what you know, or do you want to experience something new? So when the day comes that something new is being offered – whether it’s moving to a new country, volunteering for a new project at work, sending yourself to soft-skills training for self-improvement, or even engaging with unfamiliar people with an open mind, choose the path of change. Only when you have taken that journey and reflect back will you realize how much it has enriched your life. Most especially for mothers -- those who have moved to a different country, finding themselves as expat wives... do not be afraid of stepping out of your comfort zone. Try something new. Continue the search. Believe in yourself. Many possibilities are out there -- whether it is part time work, charity work, full time work or even starting something of your own. It is encouraging to know that some of my friends have indeed taken giant steps -- borrowing money just to start up her company -- wow. Last week I met up with her and had the most amazing discussion. This really encouraged me and I hope it will also do the same for you. The reason why I write these things is to reach out to people out there who may feel there is little hope to find something worthwhile to do -- despite being a mother and having that role of running the household. We can be superwomen. They exist. And you can be one of them. The key thing that you need to remember is that whatever that unfamiliar path you are about to take, it is neither all that impossible nor strange. Someone out there has already done the same thing. Reach out. Talk to people. Ask friends and family because their network may point you to someone who could give insight. Search online. Read blogs and articles. There is a wealth of knowledge out there. All you need to do is make that decision to change and make a move on your life. Your post is very encouraging. I ran across your blog and found it very helpful. I just moved here with my hubby and now wondering what to do with myself with all this time on my hand. 1. Where is the best place to shop for furniture? 2. I'm vegetarian and I've found a couple of veggie restaurants. Are there grocery stores that carry vegetarian food? 3. How and where to hire a part-time maid. How much does it usually cost? hi and welcome to malaysia! You will soon discover that furniture is EVERYWHERE in Malaysia because there are so many suppliers and shops. If you like real teak wood and willing to spend, i would suggest EAST HERITAGE at Petaling Jaya ... we bought some stuff there like our king bed and some tables for the living room. really heavy wood stuff from Indonesia and they custom make if you need adjustments.... details below. Call 03-7960 5820 (HQ Abu Bakar branch) or 03-7781 9660 (Gasing branch) for enquiries. Part time maid -- this is tricky. There will be many agencies and newspaper ads saying they rent out maids (part time) but they usually dont speak English. I prefer recommended maids and you will need to ask your friends or husband's colleagues who have been here in KL for a while.... dont leave your stuff alone also when part timers come to clean as they may swipe some of your stuff -- just be cautious. Highly recommend hiring FILIPINO part time maids that is a better option and possibly speak better English. 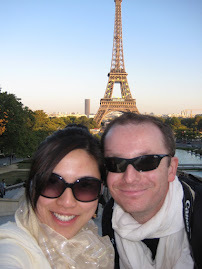 Hi,your blog is very inspiring.I ran across your blog it's inspire me lot.I recently moved to KL with my husband. My husband's job opportunity forced me to come out from my comfort zone otherwise it's very difficult to leave your own country and your dear ones. But presently, I am facing some problems in settle down here. The first problem I am facing here is loneliness. I don't even have a single friend here. The second is communication.My communication skills are not so good.I want to improve it. The last is job. I am not getting a job here,so it is very difficult for me to spend the whole big day. Can you please suggest me some ways to overcome these problems. I know how you feel bec that is almost exactly the same as what I went through long ago, when we just arrived in KL. Instead of sitting at home and being lonely, I forced myself to go out and do things. First you need to be mobile -- so either you have a good taxi driver you can trust to drive you around or learn how to drive. I prefer option 2 though i went through both. I forced myself to join a yoga class group which in the end became one of my avenues to meet people (plus get really fit). It helped to lighten the mood and also get out of the house. You can try to also join some groups especially of the same interest as you (maybe from the same country / same interests like painting, art, etc). If you want to improve communication skills perhaps join a class -- maybe learn a new language even! I am currently enrolled in Alliance Francaise and have many classmates both foreign and locals -- housewives who want to get out and sharpen their brain plus meet new people. My advice -- DO NOT STAY HOME. Force yourself to join things and have a schedule. Don't let the week pass by with nothingness. Do something. Go out. Talk to people. Meet your neighbors. Join charity or community. Church or religious group that you belong to? Enroll yourself into something. DO NOT give up. Life is full of possibilities. And you have the wonderful opportunity to live and enjoy KL life... go out and live it! Thanks for your prompt reply. I am now again going to bother you. I need some suggestion from your side. I am also planning to join English speaking course but my husband is not allowing me to join this course. According to him,my communication skills are not so bad where I need to join this course. He is forcing me to to join the swimming classes. He said that i need to spend more times on listening,reading and writing myself so that I would be able to speak English more frequently. Can you please suggest me now what I need to do . if i have to improve my communication skills myself then what I have to do. Hi Kaddy, it is hard to judge what is best for an individual. However just to share a personal experience , I too am going through some language course (French) and it helps to speak, listen (tv shows, radio, music) and read some stuff from the language your ate trying to learn. Most of all the important thing is Do not be afraid-- speak up. We will make mistakes yes, but we never be fluent until we speak and practice. Sometimes I feel shy to speak up in French, but when I remind myself I will never learn and the time is NOW, I get braver. Going out swimming might be a nice idea too so you can meet people and converse with them. Good luck! I miss you and your family and KL when reading your blog and watching your photos ... I hope you enjoy your time in Manila. We are in the final stage of gift hunting... and we will fly from Stavanger-Amsterdam-Bordeaux on Sunday. Wishing you happy holidays and a wonderful new year. Hope we'll see each other again in the near future. Hello Tram, so nice to hear from you. Time flies... You found me on my blog, and now you went back to Norway already! Sigh.. We miss all of you! Hope u had superb holidays and perhaps we see each other soon! 2013 will be a fab year! I'm not an expat but a very local Malaysia chinese. I like your blog and your inspiring sharing. I have come to the point if life that I am afraid to make changes especially in my career. Maybe I am just not being too positive about life. I would love to try something new but without the neccessy background and experience, I won't even have a chance to be shortlisted. I believe if I were to be given a chance and proper guidance, I will be an asset to the company. Opportunities are hard to come by. Well guess that's life. hi LC, thanks for dropping by my blog. Change is often the hardest thing to make. We are humans and thus we prefer the safer path ahead. It is a scary thing, and the first step is always, always the hardest. WHen you remind yourself that you have one life to live and a short time to make the most out of it, perhaps that will encourage you to take the plunge and take courage. Experience and background can be earned and learned. As long as you are able, have life and hope, nothing is impossible. I know that the reality always goes against all this risk-taking... but when you hear of other people's life stories, struggles and success, doesn't that inspire you to live out your dreams too? 10 years from now, when you look back at your life, will your regret not changing career? If the answer is no, then stick to what you are doing. But if you answer is yes, then start planning next steps. Life is too short for regrets. Stumbled across your blog while looking for people to be my business partner. Like your positive outlook of life ..Living life the way you are living now is the best because there is no doubt, fear reservation and no load on ones shoulder ..
Secondly, you are the kind of mother children dream about. Stumbled upon your blog while looking for people to be my business partner.